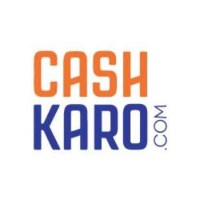 With over a million registered users, CashKaro.com is India's Largest Cashback & Coupons site backed by honourable Mr Ratan Tata & one of India’s leading VC firms, Kalaari Capital. CashKaro is a one stop destination for savings on all online shopping, enabling members to compare prices, earn extra cashback and get free coupons across 1000+ ecommerce sites like Flipkart, Snapdeal, Paytm, Myntra etc. At CashKaro, we offer a casual but fast-paced environment where creativity and effective teamwork are rewarded. Because of our relatively flat management structure, our employees are able to get close to the heart of our business and are empowered to make a real difference to what we do and how we do it. Founded by Swati & Rohan Bhargava in April 2013, we continue to rapidly expand our business and always on a look out for unique, pioneering individuals who have the passion and commitment to help us achieve our vision. This an exciting time to join the company and be part of something very special. So, whatever stage you’re at in your career, if you want to enjoy your work environment where you know everyone like family, visit at http://cashkaro.com/page/careers to find out more about us and to search all our live vacancies. If you want us to give you a call or help you with any query, please drop us a line at contact@cashkaro.com. Also like us on Facebook- https://www.facebook.com/cashkaro/ or follow us on Twitter @Cashkarocom to stay connected!